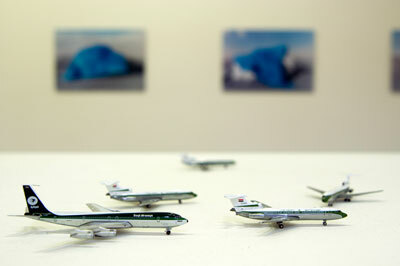 Michael Rakowitz brings together and reworks elements of two previous works, Return (2006 – 2008) and Grounded (2008). Return was originally realised in collaboration with Creative Time in New York, and aimed to import Iraqi dates into the U.S. The entire process was depicted including its planning, anticipated and unforeseen complications, routing issues and the final receipt of a small amount of dates. It was shown in Davisons & Co., a temporary shop set up for the duration of the project with the intention of selling the imported produce. 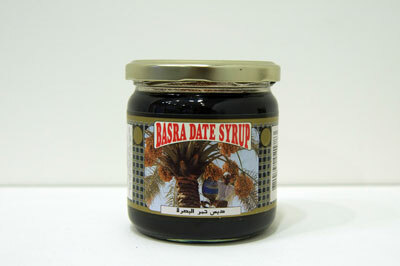 While the desired outcome was to receive an importation of dates, the project was also launched to illuminate how the innocuous and mundane process of exporting a basic food product can be akin to a mission impossible after the end of Saddam’s regime and the official sanctions against Iraq. 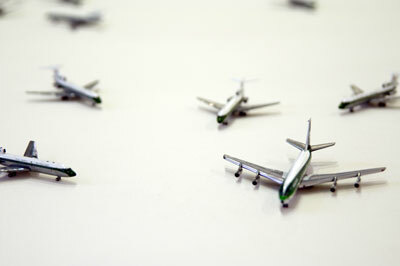 The logistical difficulties and convoluted methods of sending and receiving shipments from a country under foreign occupation and facing an uncertain future comes to light. 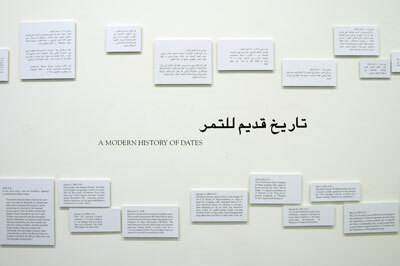 In Rakowitz’s new manifestation of Return, a timeline outlines the first knowledge of wild date seeds existing in Northern Iraq and their importance in the food chain dates to 50,000 years ago. It then charts the consequent history of Iraqi date plantations and their international significance up to the present day. Also included in the display are date palms and products from suppliers in Liverpool that, while originally from Iraq, have been labelled otherwise in order to allow easy importation to other countries. Grounded presents another of Iraq’s assets and highlights a mode of transport which symbolises people and economic exchange, but has since become obsolete due to the ravages of war. 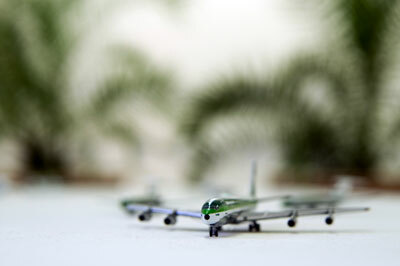 A collection of 17 vintage, miniature Iraqi Airways planes purchased on eBay, along with an accompanying text, tell the story of the airline and how its entire fleet was flown out of Baghdad during the first Gulf War, only to be abandoned on airfields around the Middle East, where many still remain today. Michael Rakowitz was born in New York in 1973. He lives and works in Chicago. 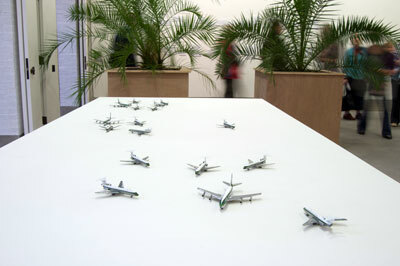 He has exhibited internationally in solo and group exhibitions since 1995. 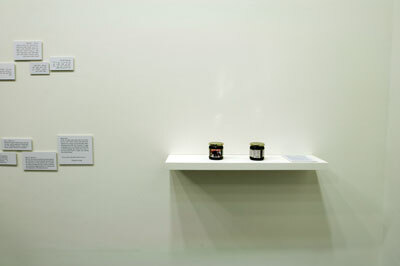 Selected solo exhibitions include The worst condition is to pass under a sword which is not one’s own (2010), Tate Modern, London, Transmission Interrupted (2009), Modern Art Oxford, UK, and SAFE: Design Takes On Risk (2005), Musem of Modern Art, New York.